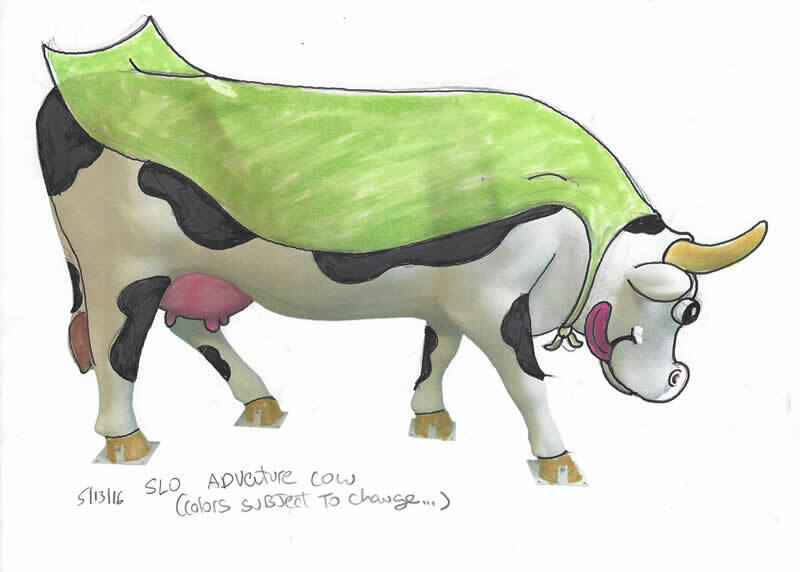 SAN LUIS OBISPO – Syndicated cartoonist Leigh Rubin has joined CowParade SLO County as a featured artist, creating a daring cow that will explore the entire region in a series of mooooving adventures. Rubin’s Adventure Cow, modeled after some of the cows that appear in his daily comic Rubes, will be featured in a series of videos chronicling her travels. 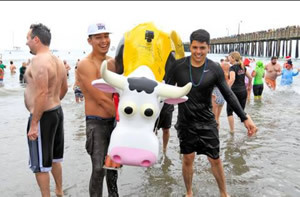 The cow is sponsored by Visit San Luis Obispo County, which promotes tourism county-wide and is the Official Tourism Sponsor of CowParade SLO County. 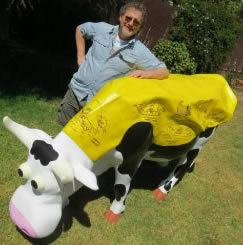 CowParade is a world-known public art and charity event, during which sponsored artists paint life-sized cow statues. 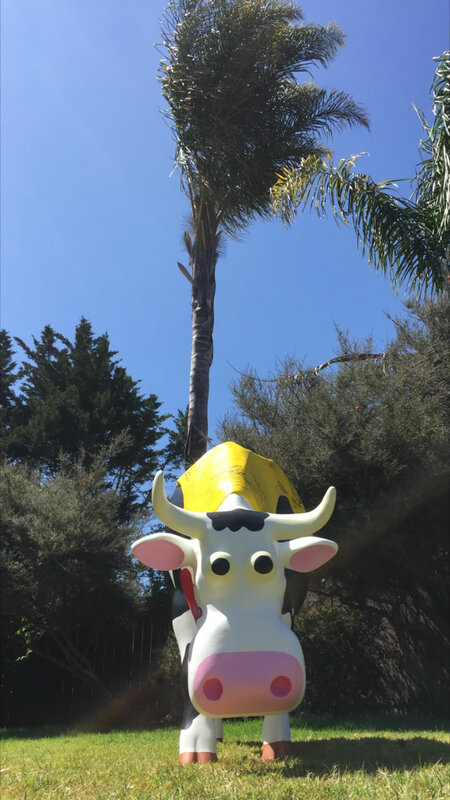 The 101 cow statues in San Luis Obispo County will be displayed throughout the community for seven months, beginning in September, until they are auctioned for local charities in May 2017. 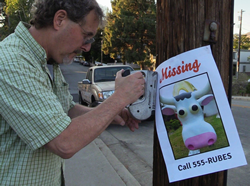 Rubin was a natural choice for Adventure Cow. Rubes, carried by more than 400 newspapers, often features cows. This fall Rubin will publish a collection of his cow-centric Rubes in The Big Book of Moo. 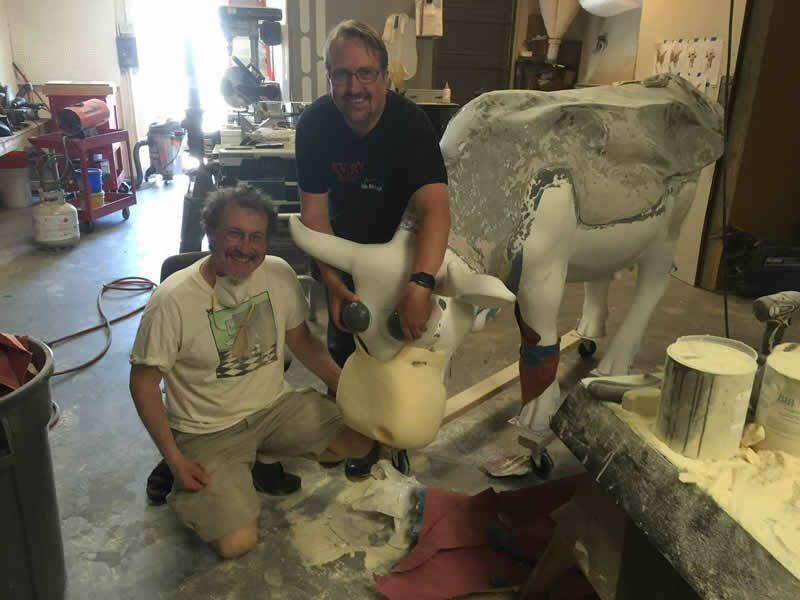 To make a realistic-looking fiberglass cow look like one of his creations, Rubin enlisted the support of friend Ryan Johnson, who owns New Rule Productions, a video, TV, props and special effects production company in Southern California. 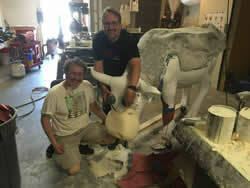 Rubin said his cow will be a thrill seeker. Those adventures, Davison said, might include kayaking, ziplining or other outdoor activities. 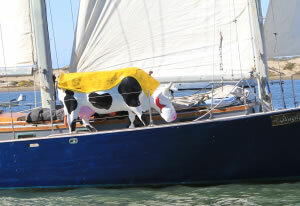 The Rubes Cartoons Adventure Cow Sails and kayaks! The Adventure Cow goes wine stomping! 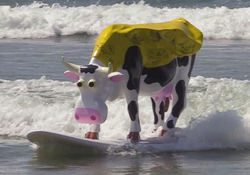 The Adventure Cow goes surfing! 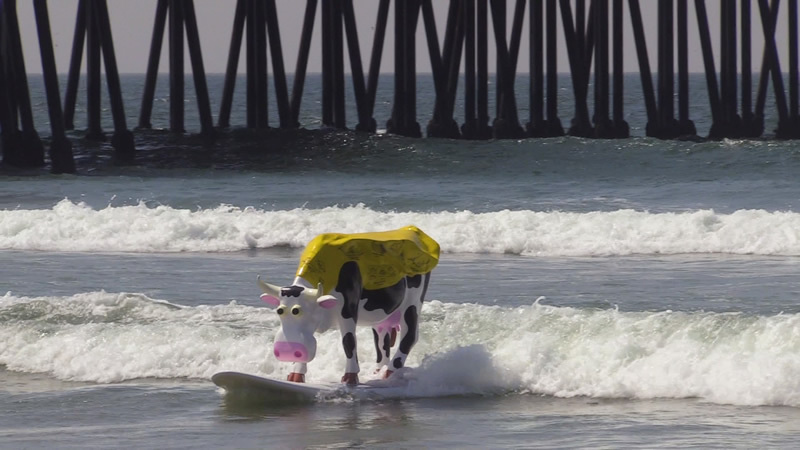 Adventure Cow Wipes Out at Pismo Beach!